When a flower is more than the vase, here is Rudbeckia ‘Cappucino’ grown from seed in my Virginia garden for today’s #inavaseonMonday. Seed courtesy of Renee’s Garden. 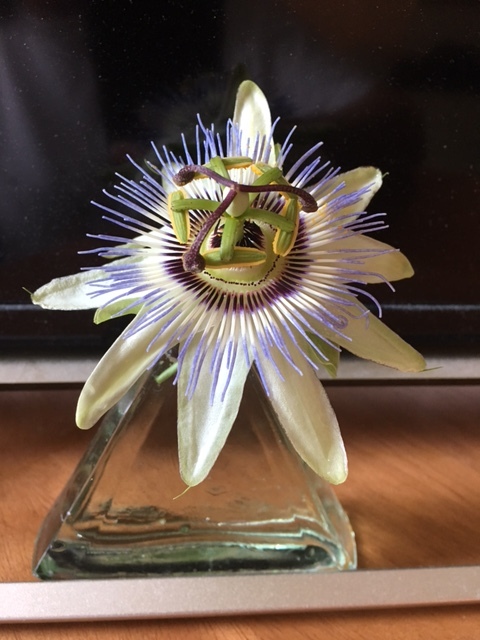 For #inavaseonMonday, my passion flower vine is blooming but the short stems make it hard to put in a large vase so I picked this small glass vase. A lot of symbolism has been attributed to this flower, which produces an edible fruit.